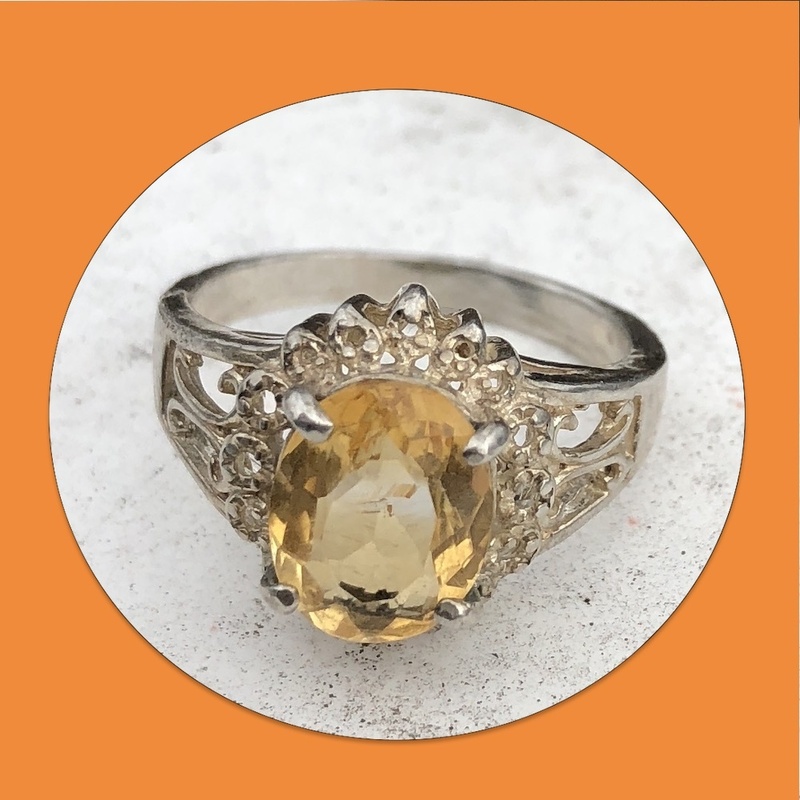 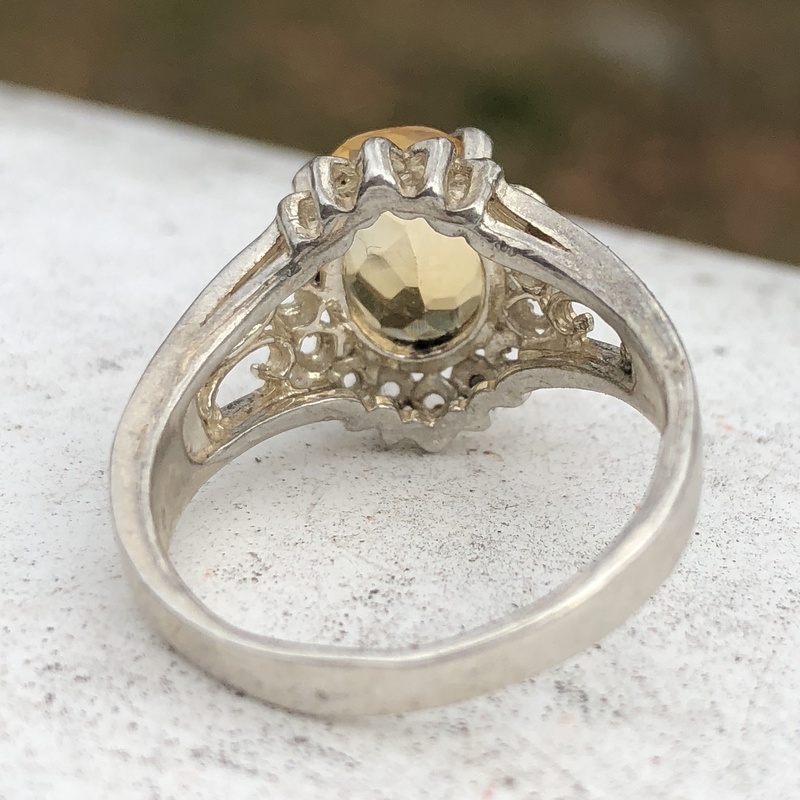 Estate find light yellow topaz vintage ring in a filigree setting. 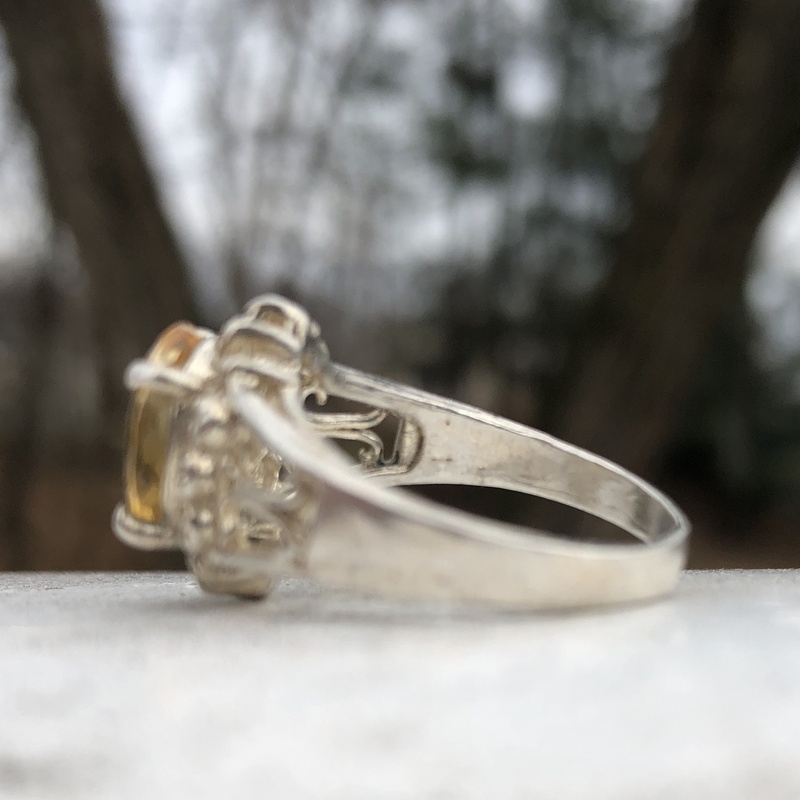 MATERIAL:Light topaz stone, sterling silver. 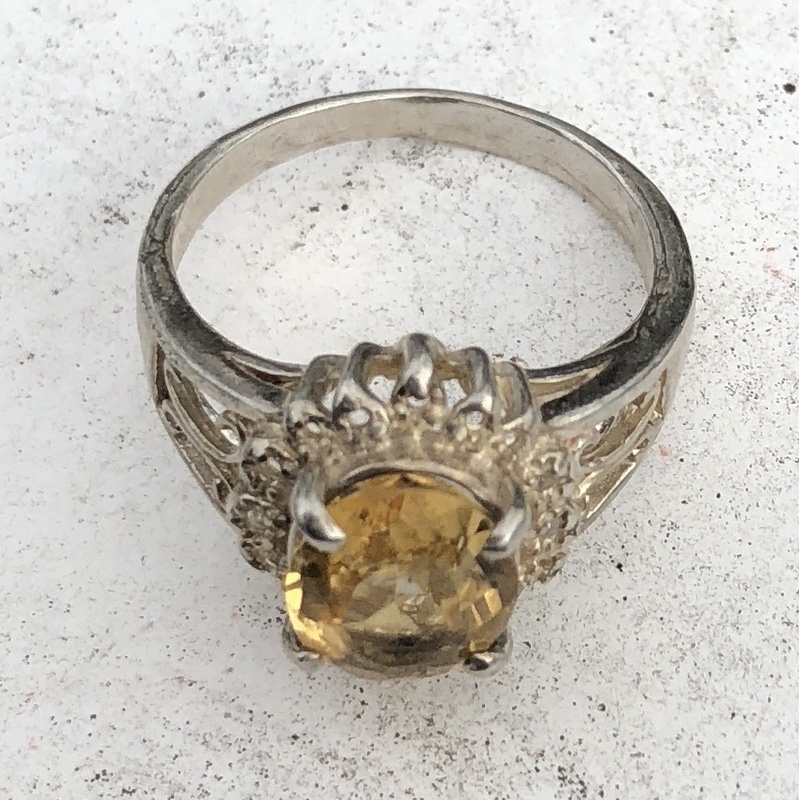 METAL CONDITION:Unmarked but tested .925.